The Colter siblings have learned to look after each other in the dangerous Brakkerswamp, so when Ottilie’s brother Gully is kidnapped under mysterious circumstances, it falls to her to save him. Ottilie discovers her brother has been scouted by the Narroway Hunters: a secretive, male-only group tasked with keeping the land safe from monstrous creatures called dredetches. 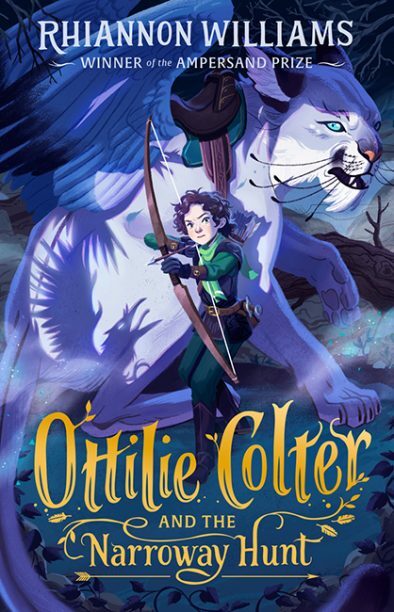 Naturally, the only way for Ottilie to keep an eye on Gully is to infiltrate their ranks, so she cuts her hair, calls herself Ott and learns the ways of the hunter, while also trying to keep her true identity a secret. Ottilie Colter and the Narroway Hunt is the first middle-grade novel to win Hardie Grant Egmont’s Ampersand Prize, and it seems destined to be one of those award-winners that also captures the hearts of its audience. It takes the familiar path of the ‘apprenticeship plot’ often found in fantasy-adventure, but it also explores deeper questions about fairness, gender and friendship, making for a highly enjoyable read. The world-building is original and pared back enough so that it never distracts from the story. This is a great book to put into the hands of ‘Ranger’s Apprentice’ or ‘Song of the Lioness’ fans aged nine to 12, regardless of gender.